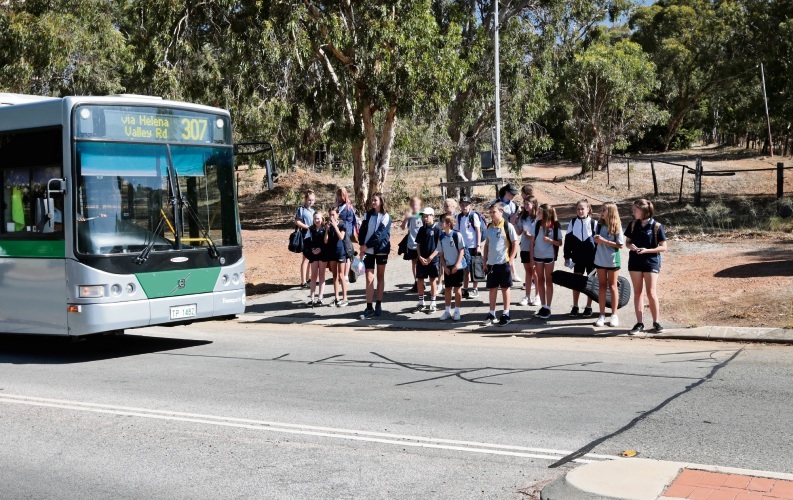 PARENTS of students travelling to Kalamunda Senior High School from suburbs in the Mundaring shire say recent changes to the bus timetable don’t go far enough and put the safety of children at risk. This month Kalamunda MLA Matthew Hughes announced changes to the bus network meaning students from Mundaring, Mahogany Creek, Glen Forrest and Darlington no longer needed to interchange at the Midland Bus Station. “The students, who are in the catchment area for Kalamunda SHS, faced up to three hours travel time each day,” he said. “Initially Transperth added an extension to the 307 service through Helena Valley on school days through to Kalamunda Senior High School, St Bridgid’s and Mazenod from January this year. “While the extension delivered a more direct service for students transferring at Midland, it did not adequately cater for the needs of other students. “Students on the 322 service through Darlington and Glen Forrest being resourceful started disembarking the 322 service at Boya to walk to Helena Valley Road to utilise the extended 307 service. Mr Hughes said from next term the 322 route would have some services extended to connect it with the 307 route on Helena Valley Road. He said Transperth would use articulated buses in anticipation of increased passenger numbers. However Darlington mother Melissa Oliver said the minor change was a knee-jerk reaction to an accident involving a student on Scott Street last month. “The dangerous situation had been conveyed to the Transport Minister, Mr Hughes and Transperth in the month prior to the accident,” she said. “The minor change is disappointing and does not reflect the requests of the Kalamunda SHS parent and student group who have campaigned for significant change to student travel. Mrs Oliver said the new service posed a serious safety risk to students. “It is not safe to transfer a full bus of students in such a busy area at school times at a bus stop where the ground is sloping gravel and there is no coverage from weather,” she said. Mrs Oliver said some students would still leave home 1.5 hours before school starts. “Our campaign continues to aim for a direct school bus service to Kalamunda SHS which is what we originally asked for,” she said. Transperth will investigate upgrading the condition of bus stops on Helena Valley Road as a part of the network changes.